Although small business owners are constantly looking for ways to bring in new business you have to remember to look after your loyal customers. These customers are vital to small businesses as they’re the customers who repeatedly purchase your products/use your services which effectively keeps you in business. Here are a few ways you can use SMS marketing to help establish a good relationship with loyal customers. Use you customer contact database in your favour to make customers feel special. “People have a basic human need to be acknowledged and recognized,” says Kevin Stirtz. Instead of simply using SMS to send out marketing texts engage with customers on a personal level by sending them texts to thank them for being a loyal customer, to say Happy Birthday or if they haven’t used your product/service in a while send them a text to prompt them to come and visit you. Using texting in this way will strengthen your customer relationships and stop them from going to your competitors as they’ll feel loyalty to using you and only you. More than 10.3 billion mobile-connected devices will be available by 2016. According to the report, the expected mobile growth will stem from three increasing factors – content, new devices and more sophisticated features. “It is an enormous opportunity for marketers to increasingly test mobile marketing possibilities, ranging from SMS to full-blown cross-channel campaigns and activities where mobile plays a central role,” said Kevin Petschow, spokesman for Cisco, San Jose, CA. Mobile data traffic overall is expected to increase a whopping 18-fold by 2016, showing how consumers are consistently and steadily using their mobile devices more. For marketers, the data is proof that mobile is a growing channel to target a broad group of consumers. Additionally, the research proves that carriers and manufacturers need to up their game with increased coverage and Wi-Fi for consumers so that brands have the opportunity to interact with users via mobile marketing. Over the last decade, texting or SMS has become the social messaging medium of choice. Judging from this Cisco report and many other market industry articles Mobile Marketing is set for big things in 2012 with more businesses increasing their mobile marketing spend as they realise the opportunities of using this channel of communication. As a company we want to help you effectively engage with your target market through texting so why not contact us today to find out more about how you could implement Mobile Marketing today. You can contact us directly on 01484 465160, visit our website and why not have a read of some of our customer case studies to see how mobile marketing has worked for them. -Do you remember the days when you used to be charged for incoming phone calls? – Do you remember when you used to pay for voicemail, to leave a message and retrieve a message? – Do you remember when you used to have to ask to have text enabled? -Do you remember when you could only send a text to someone on the same network? Councils ‘use radio most’ for school closure message but why not use texting? Scotland’s councils rely most on radio bulletins and word-of-mouth to let parents know schools are closed due to bad weather, BBC Scotland has found. The news website asked all 32 local authorities what policies they used to get the message across. Of the 31 which responded, all said they used local radio bulletins and 15 said parents’ passing on the news to other parents was also key. But new technology is being used with 17 on Twitter and 13 sending e-mails. 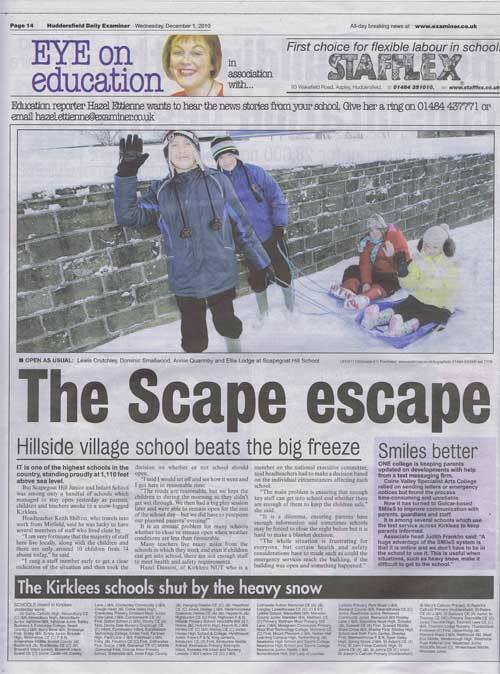 The school closure communication policies of most of Scotland’s councils were tested this week following relentless snow falls and freezing temperatures. Thousands of pupils at hundreds of schools have been away from the classroom for three days or more. To view an enlarged version please click here.